Today's card is for the birthday of a VERY SPECIAL LITTLE THREE-YEAR-OLD in our family. We will be celebrating her special day later this month. A really delightful Autumnal creation Ginny. 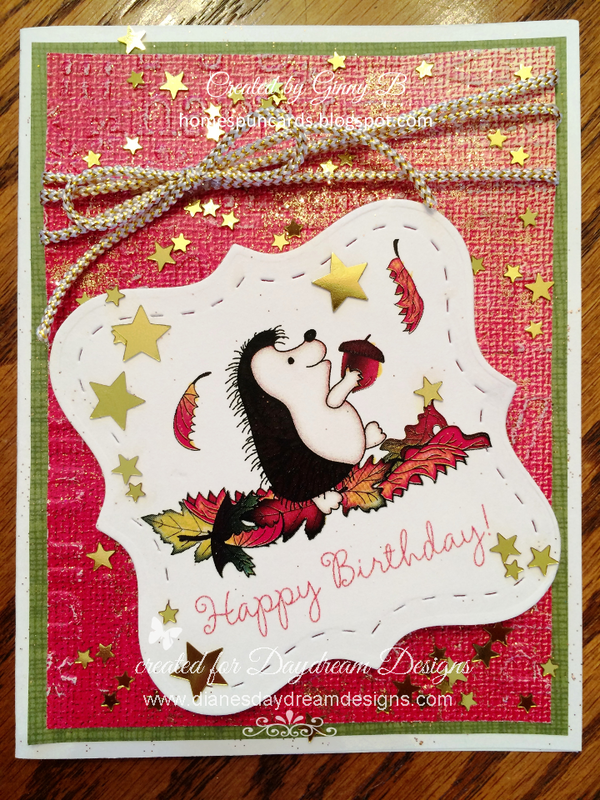 Fabulous card ....lovely colour choices and that hedgehog is a real cutie! Oh, what a stinking cute image! Love all those gold stars as well. Thanks so much for sharing with us this week at 613 Avenue Create! Super cute! Love all the stars and darling image! Thanks for joining along with the Simon Says Stamp Monday Challenge!